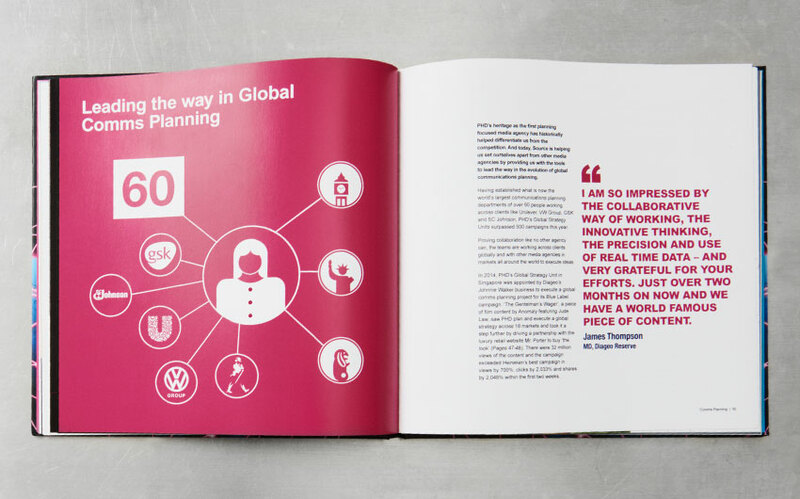 A beautifully designed and finished 84-page coffee table book celebrates the global achievements of communications agency PHD Media. We’ve worked with PHD Media since 2014. 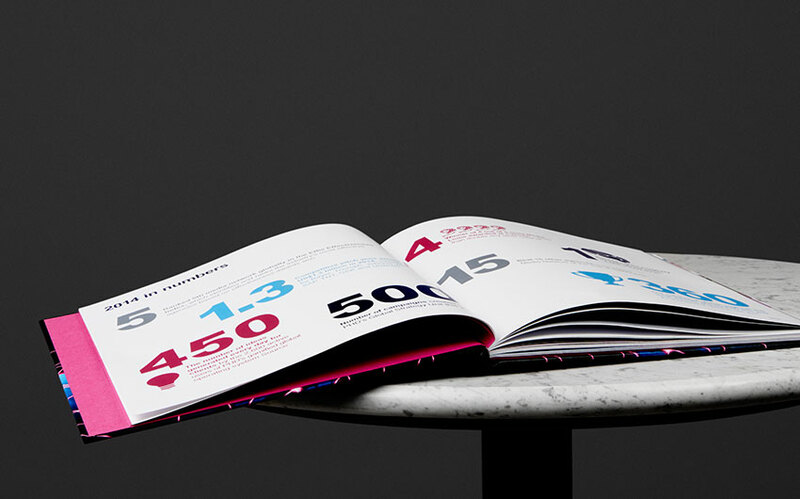 So when they wanted to celebrate the agency’s widespread success and achievements, we were asked to create a limited edition 84-page coffee table book. We designed the book around the themes of Pride, Product and People and brought it to life through bright colours, infographics and illustrations throughout. We took inspiration from Source Earth, the company’s global planning system that glows with pink lines around the globe when somebody in the UK is collaborating with someone in another part of the world. 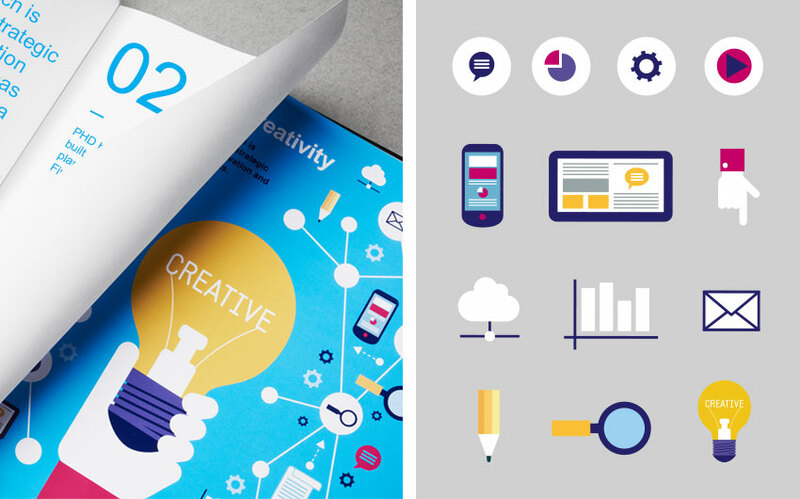 This idea of connectivity became the foundation for our creative approach, which helped link the various subject areas and content throughout. To finish, we used an elegant hardback cover and spot UV varnish. The book was subsequently shared with business leaders within the global network as recognition of an incredible year. PHD was named Media Network of the Year (2015) by Campaign.